New Delhi, July 8 : A Delhi court Monday put off till July 31 the hearing on a 2G case in which Bharti Airtel chief Sunil Mittal and Essar Group promoter Ravi Ruia were summoned. Central Bureau of Investigation (CBI) Special Judge O. P. Saini adjourned the case till July 31 after lawyers appearing for Mittal and Ruia informed the court that the matter was pending in the Supreme Court. The Supreme Court in its interim order April 26 postponed the trial court proceedings till further orders and exempted Mittal and Ruia from personal appearance, the lawyers submitted. New Delhi, April 18 : Supreme Court's Justice Anil R. Dave Thursday recused himself from the hearing on pleas of Bharti Airtel' Sunil Mittal and Essar Group's Ravi Ruia who have challenged the summons issued to them by the 2G case trial court. Another apex court judge had withdrawn from the hearing April 15. As the apex court bench of Chief Justice Altamas Kabir and Justice Anil R. Dave took up the matter for hearing, Chief Justice Kabir said that no order could be passed as Justice Dave had recused himself from hearing the matter. New Delhi, April 16 : Bharti Airtel chief Sunil Mittal and Essar Group promoter Ravi Ruia Tuesday appeared before a Delhi court following summons issued to them in a case relating to alleged irregularities in the allocation of 2G spectrum. Both furnished separate personal bonds following a Supreme Court order. Accepting the bonds, Central Bureau of Investigation Special Court Judge O. P. Saini adjourned the proceedings till April 22. New Delhi, March 19 : A Delhi court Tuesday summoned Bharti Airtel chairman Sunil Bharti Mittal, former telecom secretary Shyamal Ghosh and Essar Group promoter Ravi Ruia in a case relating to alleged irregularities in allocation of excess spectrum during the NDA regime. Special Central Bureau of Investigation (CBI) Judge O. P. Saini issued summons for April 11 after taking cognizance of the charge sheet filed against mobile firms Bharti Airtel, Vodafone and Sterling Cellular for alleged irregularities. The special court, which hearing the 2G spectrum scam case, has issued fresh summons to senior executives of Essar Group as well as Loop Telecom to appear in the court after they failed to appear claiming they did not receive any summons. Essar Promoter Director Anshuman Ruia, Essar Vice Chairman Ravi Ruia, Essar Group Director of Strategy & Planning, Vikas Saraf, Loop Telecom's Kiran Khaitan and IP Khaitan are the five executives who failed to show up at the court on Friday. New Delhi, Jan 5 : Loop Telecom and Essar Group, accused in the 2G spectrum scam, Thursday moved the Delhi High Court pleading that their case should not be heard by a special CBI court as they have not been charged under the Prevention of Corruption Act. Raipur, Sep 20 : Senior officials here of the Essar Group have been questioned and others based outside Chhattisgarh will also be interrogated for allegedly paying 'protection money' to Maoists, a senior police official said Tuesday. "Some Essar Group officers, including a general manager posted in Dantewada, have been interrogated and notices have been sent to several others for their role in payment of massive money to Maoists," Ankit Garg, superintendent of police (Dantewada district), told IANS over phone. Today at Ranchi, Essar Hypermart, which is India's primary steel retail chain by Essar Steel, rolled out its hundredth store in India. With this opening, Essar Hypermart now has 100 hyper marts and 419 express marts athwart the nation. 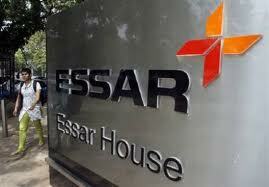 Recently the Hypermarts' sale records for 25 per cent of Essar Steel yearly earnings. But its involvement is positioned to budge. Further as the group devices to augment the number of express marts and hypermarts to 126 and 650 in that order, crossways India by March in the coming year. It is currently in talks with the banks and if the need be it will look for other investment options. Essar is into businesses which range from steel to shipping. It is into partnership with British firm, Vodafone in India's third biggest mobile firm, Vodafone Essar and has 33 per cent stake in the company. Enterprise Communications Systems provider, Avaya announced that it is going to sell 59 per cent of its stake in AGC Networks to Essar Group. Avaya has agreed for the sale after a long time and the decision has been taken by the IT Company while keeping two ideas in mind. The first is the strengthening of Avaya's footprint in Indian and also the extension of its channel coverage. The second objective can be achieved with the help of Avaya's global channel program, Avaya Connect. Diversified business conglomerate Essar Group announced that it will get hold of Avaya's 59.13% equity stake in converged communication solution provider AGC Networks for an aggregate amount of Rs 206.19 crore. In a declaration, the company said, "The Essar Group will acquire Avaya's entire 59.13 percent stake in BSE/NSE-listed AGC Networks for USD equivalent of Rs 206.19 crore, or Rs 245 a share, subject to customary Indian regulatory requirements and completion of the open offer." This acquirement will assist catapult Aegis, in which Essar Services Holdings Ltd (ESHL) invests, into top-tier of solution integrators (SI) space. On Thursday, Essar Group launched its IPO in London to raise close to $2.5 billion. The money thus raise would be used by the Indian conglomerate for its energy and power business. This is the biggest IPO in London ever since 2007 where the company sold 20-25 per cent of its stake in Essar Energy to other institutions. The money is needed so that its growth plans are fuelled. It is looking forward to buy new coal mines for its power business and is also going to bid for oil and gas exploration blocks. The high net-worth Essar group that had collaboration with Hutch to provide mobile services in India, is now interested in coal business. The group controlled by one of the most prestigious families of India, the Ruias is now interested in buying a coal mine from the famous Trinity coal in US. The deal is already into advanced stages of negotiations. Essar is also into steel making and the purchase will assist in the supply of all the key raw materials needed for the steel making plant. It is expected that the price of the acquisition will be around 550 million dollars to 600 million dollars and the acquired plant would be producing around 200 million tones. Essar Securities is going ahead with a stake sale in its telecom infrastructure company. Named Essar Telecom Infrastructure, which is mostly into tower business; the firm will now see American Tower Company (ATC) as one of its shareholders. The total value of the deal is going to be close to Rs. 49 crore and has already got approval from the board of directors of Essar Securities. India based Essar Group has announced to buy a majority stake in telecommunication businesses of Abu Dhabi-based Dhabi Group led by members of the Abu Dhabi royal family. The group would acquire stakes in the Uganda and Congo operations valued at $318 million. The development would strengthen the position of Indian energy-to-steel conglomerate in the African continent. In a major achievement to beat rivals including US-based Valero Energy, the Ruias-owned Essar Group is set to acquire three refineries from the Europe’s largest refiner, Royal Dutch Shell, through an exclusive agreement with the group. The move, would pave a way for the Mumbai-based conglomerate for becoming the largest overseas refiner of India. The proposed refineries would include one in the UK and two in Germany, having a total production capacity of about 26 million tonnes per annum. The Essar Group is working out plans to invest in United Arab Emirates in lines with its strategy to expand its business in the region. The firm has started talks with a business consortium, the Dhabi Group, to invest in telecom business spending about $700 million. Prashant Ruia, the CEO of Essar group and Sheikh Nahayan Al-Nahayan. The Chairman of Dhabi group signed a deal on Sunday in Abu Dhabi, setting a foundation for future co-operation.